Staining your fence is a great way to add an individual touch to your gates and fencing. Whether this is to reflect your personality or match your home. 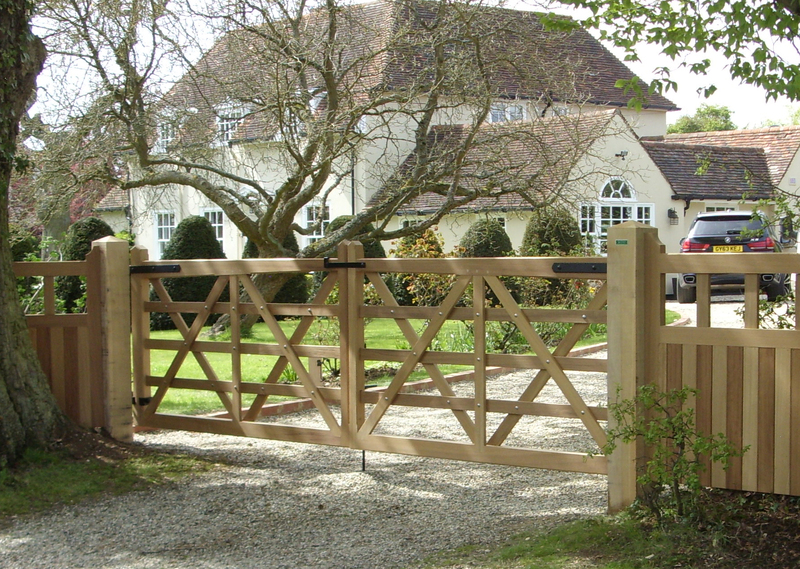 You may like to enhance your new fence or gates with a stain, colour or oil. There are a variety of products suitable for different timbers and applications and to make things easier we have produced a selection of approved quality treatments with details of how and where they can be used. 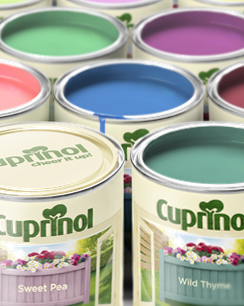 The exact colour will depend on the type of timber you are applying it to. Please also be aware of differences in computer screen settings when viewing colour charts. 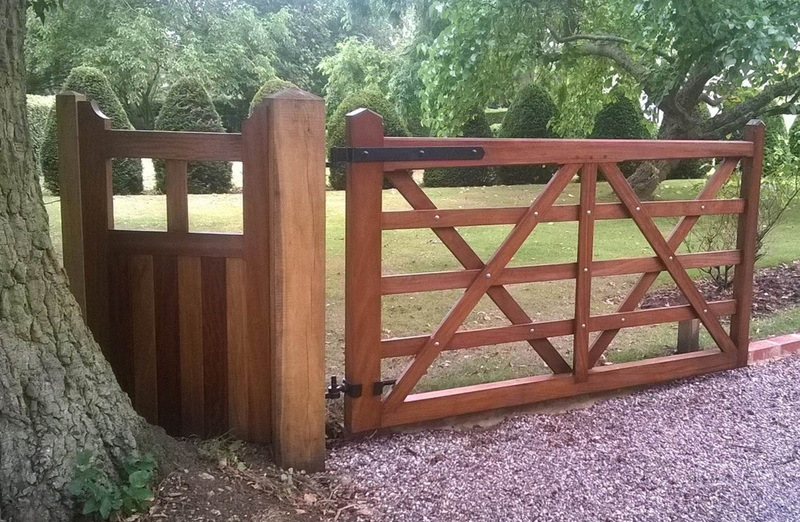 If you have any queries or if you are within our installation area and you would like us stain or treat your Gates or Fencing prior to installation, please contact us for a price. Oil reduces greying on hardwood gates. Oil based wood preserver in Classic & Extra. Ideal for a variety of surfaces. Hardwood does not require treatment for protection, however if you prefer a simple oil on hardwood gates can really alter the appearance as shown here in the before and after photos of a Padauk gate and side panel. 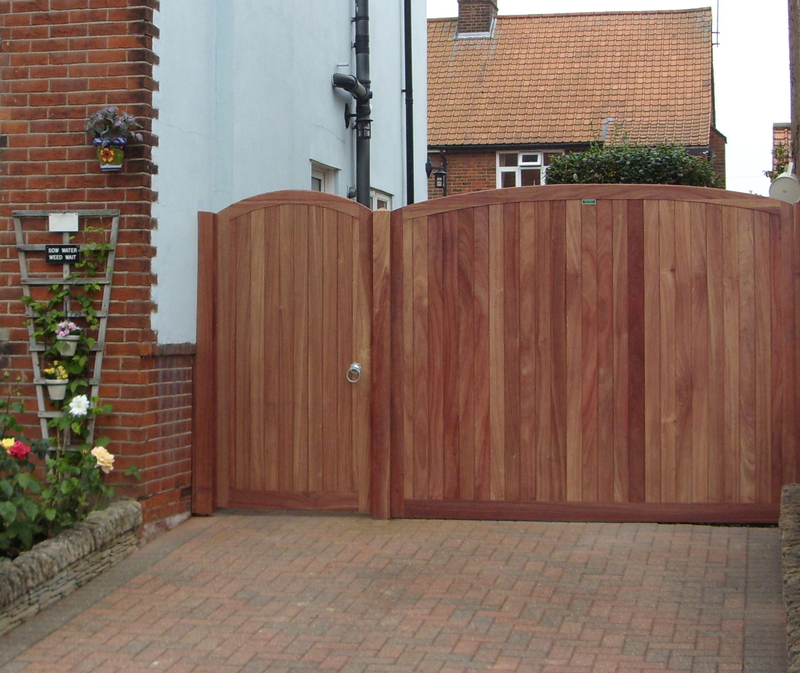 ..... and here with an Iroko gate.